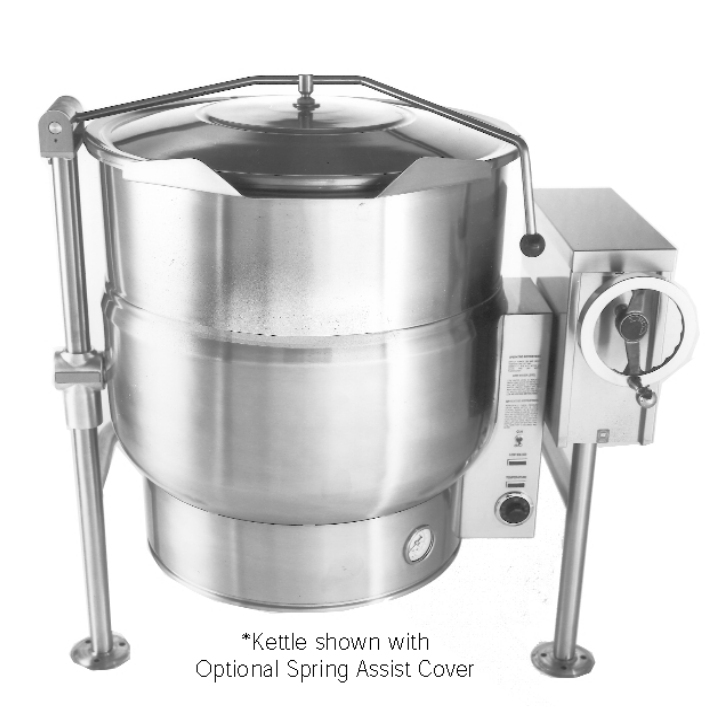 New 40-100 Gallon Stainless Steel Electric Tilting Kettles Model ELT. 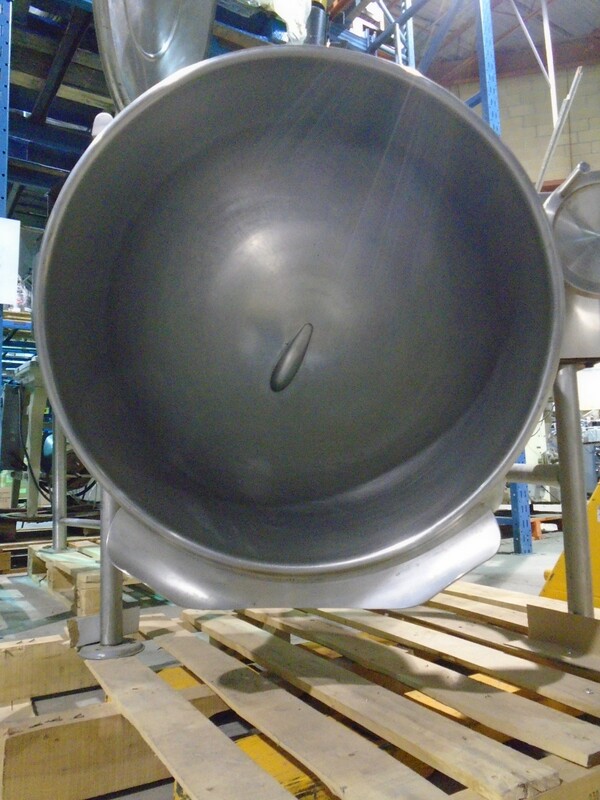 Features: 304 Stainless Steel, two-thirds jacket, tubular with flanged feet, and is NSF, CSAus rated. Temp Range: 140F to 285F at max pressure 50PSI. Electrics: 3PH/60Hz/208V or specify(price may vary). Delivery Time: approx 4 Weeks from receipt of payment.